A beautiful wall art wall decal for your home or office will give your room a refreshing look, create an enchanting atmosphere. Special design for this is decorative and make your room special. It has no glue, no adhesive, works with static cling instead of adhesive, so position and re-position as needed without ruining film or making a mess, PE static cling films do not contain chemical solvent, no malignant smell. Applies to any smooth glass surface in minutes, create privacy. 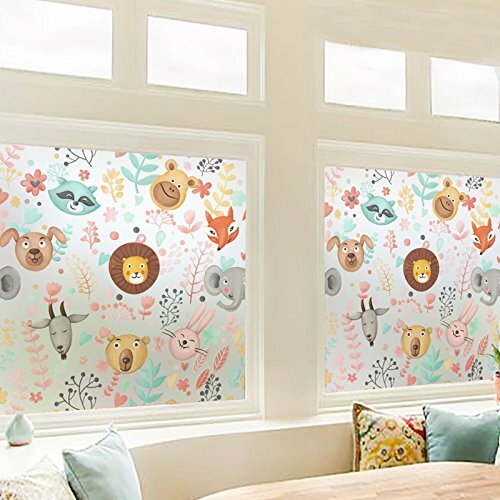 Can be trimmed or combined to fit any size window; Easy removal and leaving no residue after removal and the film can even be used again. Ideal for using on the kitchen/office glass, sliding glass doors, glass cabinet panels etc.